Listen to this track from post-bop last man standing, jazz giant, and respected saxophone colossus Sonny Rollins. It’s “St. Thomas” his signature song from 1956’s album named, appropriately enough, Saxophone Colossus. This is a tune for which Rollins is credited for composing, although in actuality it’s derived from a folk song originating from the country of St. Thomas in the Virgin Islands, the birthplace of his parents, and a tune he would have heard as a child. Like many jazz musicians, Rollins started out his recording career at a very young age. He mixed with a rich talent pool of contemporaries on the scene by the late 40s and early 50s New York City including Thelonius Monk, Bud Powell, Clifford Brown, and Miles Davis. This was a time when be-bop was winding down to cool jazz and post bop. The sounds of R&B didn’t escape his musical ear either, inspired as he was by Louis Jordan’s jump blues, which is a musical strain that led directly to rock n roll by the end of the decade. But, Rollins’ path remained to be straight stylistically on the jazz road for the most part, but for this little gem of a track on the Prestige label (same as Miles Davis by the mid-50s) that featured on his essential Saxophone Colossus album. The record also features Tommy Flanagan on piano and the incomparable Max Roach on drums. The album is recognized as his masterpiece, and this tune to be his signature. And what a tune it is, beaming with sunshiny optimism, helped along by Rollins keen emphasis on melody and roundness of tone that make it a welcoming invitation to jazz fans and newbies all at once. Still, Rollins would not stop here, but neither would he continue without interruption. He took a musical sabbatical by the end of the decade (one of a number), simply to re-evaluate his direction (while still maintaining a regimen by practicing regularly on the Willamsburg Bridge in New York City). He returned in 1962 with the comeback record, again appropriately enough, The Bridge. In the meantime, “St Thomas” took on a life of its own, re-entering the vocabulary of island jazz musicians such as the Skatellites, who recorded it in 1964 and helping to usher in ska as an independently defined style. Ska as a musical form of course would later go on to influence new wave and punk. Rollins would continue to delve into various musical avenues off of the main street of post-bop jazz, including fusion, jazz funk, and continue an exploration of Calypso forms as well. He is an active musician today an one of the remaining pioneers of post-bop jazz, touring and recording regularly even in his 80s. 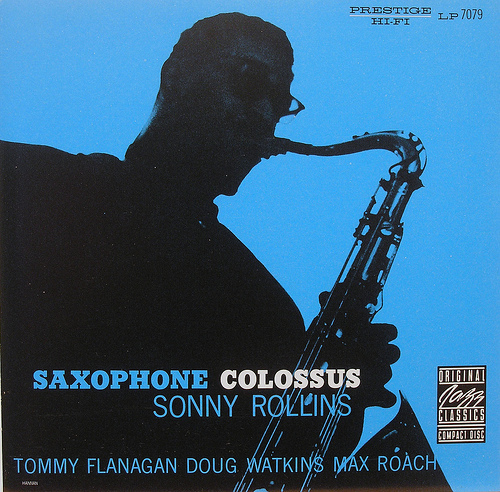 For more information about Sonny Rollins, check out SonnyRollins.com.